The exclusive showing of AWARD WINNING movie “YARIM” – “THE HALF” with English subtitles. The event is free, but you are encouraged to give a donation. 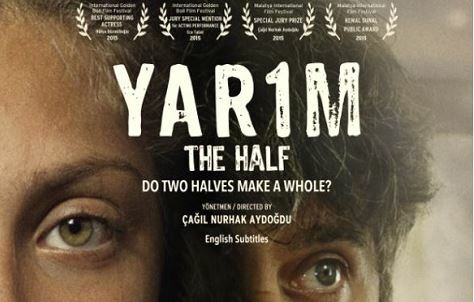 TAAM is proud to sponsor the BTF MINNESOTA GIVING CIRCLE Cinema4aCuse – The exclusive showing of AWARD WINNING movie “YARIM” – “THE HALF” with English subtitles. Please join us to support Cinema4aCause as all proceeds will go toward GIRLS EMPOWERMENT Scholarships in Turkiye (a BTF partnership with Cagdas Yasami Destekleme dernegi). Light refreshments will be provided. Audience Award for Best Feature Film: The Half(Turkey) the first time director Cagil Nurhak Aydogdu, handily won the audience heart with a touching and humorous,unusual and surprising lives.